After the historic Paris climate agreements in November 2015, there has been a growing interest in the role of clean technology entrepreneurship and innovation including sustainable energy as an essential tool to reach climate change goals. Energy production and consumption threatens not only health and quality ­of ­life, but also biodiversity, ecosystems and climate change. Sustainable energy will be the driving force for reducing poverty, promoting social progress, equity, enhanced resilience, economic growth and environmental sustainability. “We believe that by supporting entrepreneurs in the energy sector, we can slow down climate change,” said PEF Chairperson Benjamin Abadiano. The Fellowship program is designed to attract, select and support impact­ oriented entrepreneurs and help them realize their innovations for a more sustainable world. 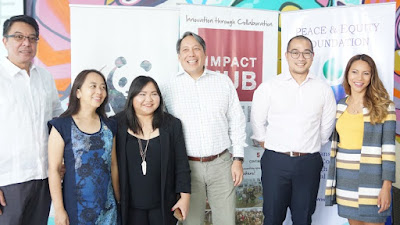 “Being topic focused in our delivery of fellowship programs is unique in the incubator / accelerator space and ensures that we are targeting the key pressing,” said Lizan Kuster, co­founder of Impact Hub Manila. Participants are given the chance to win more than₱​2.5 million worth of fellowship prizes. This includes ₱1.5 million seed funding, skill development trainings, mentorship, access to a stimulating workspace at Impact Hub Manila and valuable networks. “We doubled and tripled the number of fellows we will support for this year from just one startup team the last time which enables us to support more entrepreneurs,” Kuster added. Aspiring entrepreneurs or early­ stage startups are welcome to apply, though the startup teams applying must be able to register their business in the Philippines and be able to work and live in the Philippines as well. 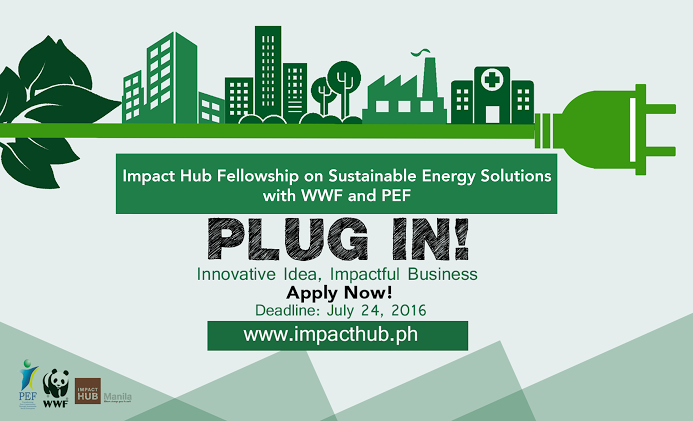 Applications will open from June 16, 2016 until July 24, 2016 on http://www.impacthub.ph/incubation­fellowship­energy­wwf­pef. 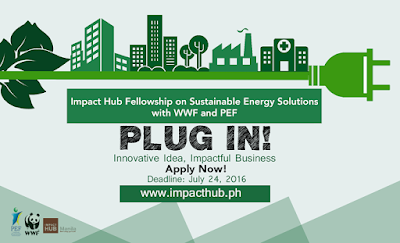 Impact Hub Manila in collaboration with WWF and PEF will conduct idea development workshop on June 22, 2016 and pitching workshop on July 21, 2016. The teams must submit their business plan as an entry for the Fellowship Program. Fifteen (15) startups will be chosen to pitch in front of a panel of judges. The selected six to eight startups (6-8) will participate in a six­ week business training program, called the Kick Program. 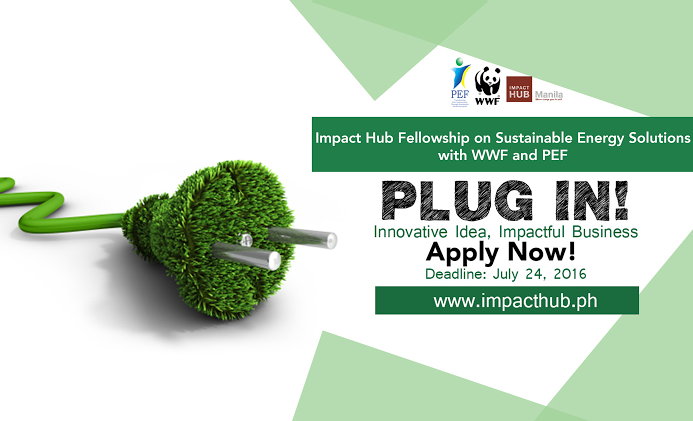 Two to three teams (2-3) will be selected as winning fellows of the program. These fellows will be incubated for six months. At the incubation phase, the Fellows will undergo further training to have their enterprise be ready for investment, and further customer validation of their product or service network.